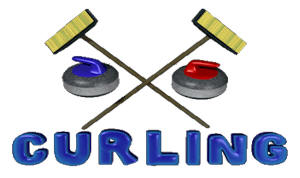 Curling Fundraising Ideas - Curling Fundraiser! Sure, it looks pretty funny to the uninitiated at first, but Curling Clubs are really growing in popularity. Curling clubs often throw fundraisers to buy uniforms, equipment or to pay league dues or travel expenses for competitions. Some clubs are trying to fundraise their way into their own dedicated ice arenas. What can your curling club do as a fundraiser that will stand out? One of the biggest decisions is often deciding what type of fundraiser to do. In Edmund, Oklahoma, the fundraising campaign for the Oklahoma Curling Club’s rock cooler and carts was the purchase of a message that was engraved on the handles of the stones. In Oregon, Evergreen Curling Club launched a fundraising campaign to secure a dedicated curling facility in the Portland-Vancouver area with a fundraising dinner to kick-off the campaign. Fundraisers by other curling clubs include challenge matches, product sales, golf outings, poinsettia sales, raffles, ladies night out, and pizza sales. Check out our complete list of fundraising products and do-it-yourself fundraising ideas for your next curling club fundraiser. You can also choose from a wide variety of curling club DIY fundraising ideas to supplement your program. How about a Crock Pot Cook-off, 50/50 raffle, Snowman Poop, Chinese Auction, or thons of every type? Perhaps one of these successful and creative ideas can be adapted for your curling club fundraiser.